Moran’s Retail is creating 30 new jobs across the family business. Pictured are: Conor Moran; John Moran; Donna Moran; Eimear Moran; and Brona Moran. A CO Derry retail group is creating 30 new jobs as part of a £2.4 million regeneration of the business. 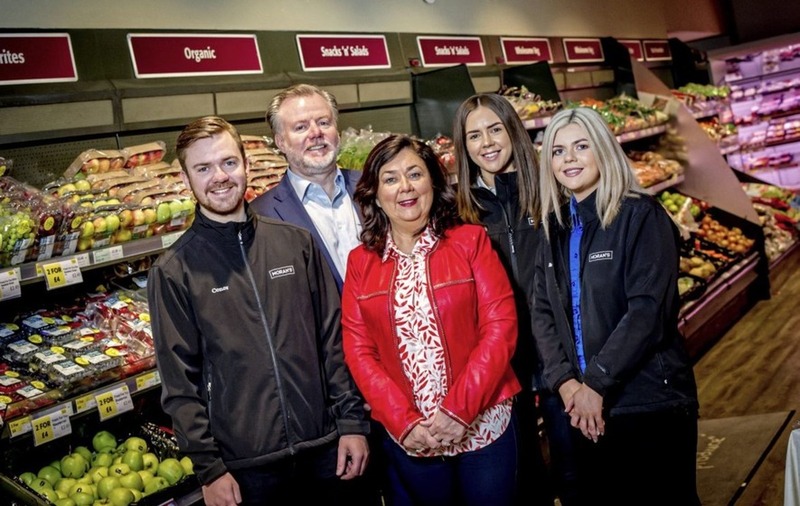 Moran's Retail has begun a recruitment drive for its three stores in Derry, Coleraine and Ballykelly, which once complete, will bring total employment to 150 across its retail and catering operations. The new roles range from general manager to store and deli assistants, chefs and cooks to butchers and post office assistants. Delivery driver and office administration positions are also available. In addition to the recruitment, the family business has carried out extensive works at its three properties as part of a regeneration drive. Moran's Centra store in Derry has been demolished to make way for a new superstore, due to open on the Strand Road within weeks, while upgrade projects at the Coleraine Centra and SuperValu store in Ballykelly are being completed. Moran's Retail managing director, John Moran said these are "very exciting times" at the business. “Providing great working environments for our people has been central to our commitment to investing heavily in our family business," he said. “Our dedicated employees are the best and some have been part of the team for over 20 years. They are the backbone of Moran's and we are always glad to invest in their continued development." “By hiring the best people and offering the best packages, we ensure that we continue to deliver the best standards and customer experiences across all of our departments,” Mr Moran added. Moran's is also introducing an innovative online system to fast-track ‘food-to-go' ordering in its stores via its website.